Tens of millions of children are expected to learn to read without adequate access to books and print. Sustaining a sufficient supply of books will also require spurring a healthy demand for books, including through public purchasing. The Alliance, unlike previous book projects, will support work across the entire book chain, building supply and demand for books simultaneously and reinforcing each link in the chain until it is strong enough to support itself. Support and training for authors, illustrators, editors and publishers is vital to improving the availability of good quality children's literature in developing countries. This article was originally published on the World Education Blog on February 23, 2018. Migration and displacement dominate our news and media, and for good reason: the world is witnessing the highest levels of human displacement on record. An unprecedented 65.3 million people around the world have been forced from their homes. Among them are nearly 21.3 million refugees: people who have fled their country seeking protection from violence or persecution. And over half of the world’s refugees are children. After leaving their homes in search of protection, refugees often struggle to access basic services like healthcare and education, as well as important day-to-day needs like food and shelter. While education is the single most important tool we can equip children with, it is often one of the first casualties in conflicts and emergencies. Half of all refugee children of primary school age are out of school and fewer than one in four refugee children get to go to high school. The situation is especially bleak in countries where a third generation of children has been born into displacement, and where the prospects of a safe return to their countries of origin seems like a distant dream. But even in the face of enduring hardship, the drive to ensure refugee children get an education is combining with creativity and determination and giving birth to innovative solutions to the refugee education challenge. A student at school at the Mae La Camp in Mae Sot, Thailand. I saw this first-hand on the Thai/Myanmar border where, after more than 30 years, the situation for refugees from Myanmar in Thailand has become one of the world’s most protracted refugee crises. Despite this, refugees in the nine camps along the border continue under extremely difficult conditions to provide education to children. Save the Children is supporting their efforts. In response to an assessment of children’s reading ability – which showed poor reading attainment – we’ve been working in the camps to improve children’s early grade reading skills. For the first time ever, we took Literacy Boost, our pioneering approach to helping children learn to read, into an emergency situation. Implementing Literacy Boost in the camps has involved producing and distributing local language reading material and training the camps’ volunteer teachers to teach reading more effectively. We’ve also been working with parents and children to encourage them to read more by implementing programmes such as ‘reading buddies’, which sees children team up, outside of school, to read to each other and discuss what they’ve been reading. We’ve seen reading skills improve, and a real enthusiasm for and commitment to reading, take off. I’ve had the privilege of seeing situations in the Middle East, Africa and in other parts of Asia where refugee communities are doing everything they can to provide their children with an education. However, while pioneering examples of refugee education exist, they are often not well known or understood outside of their context. So we’ve teamed up with UNHCR, the UN refugee agency and Pearson, the world’s largest learning company, to shine a light on efforts to provide education to the world’s refugees. We want to identify the projects with the most promise of contributing to wider change, then document and promote them. We want to show the world refugees’ determination and commitment to creating a better future for themselves. And we want to learn about what’s working in the field of education for refugees, so that ultimately every last refugee child has access to a quality education. You can find out more about the Promising Practices in Refugee Education initiative here. And if you know about an innovative project that you think might meet the selection criteria then please encourage them to submit their project. Read more about our partnership with Pearson. In every emergency, whether caused by conflict or natural disaster, children tell us that what they want most – alongside medicine, food and shelter – is the opportunity to go to school. More funding, better policies and protection must be key outcomes of forthcoming London conference. A three point plan for ensuring that new global action improves funding, support and collaboration. Thinking of not voting?Watch this. Indeed it was no normal election with a very surprising result. This video from the Guardian, essentially extolling people to vote, captured many of my sentiments about the choices inherent in the election itself. It turned out that the vast majority of voters chose a different set of values than the video promotes and that I was campaigning for which has left a lot of my friends feeling very despondent. But the video also reminds me that the long arc of history bends towards justice, that we’re part of a long history of activists working for a better world and that the question right now is, what do we have to do to shape history’s arc, moving it just that little further towards a more just and sustainable world. Children who fail to read in the early years of school fall further behind every school year and are at higher risk of dropping out than children who master how to read and write early. But not all is lost. Evidence shows that targeted attention to two key priorities, namely, early childhood development and a focus on literacy acquisition in lower-primary school, could make a decisive difference in reversing the global learning crisis so that all children in school are able to learn. Using the latest evidence of what works best when trying to help children learn to read and write, together with innovative approaches to family learning, community action and the literate environment, Save the Children is implementing an exciting program in Rwanda designed to ensure that children there have the skills, support and materials required to exercise their right to read. 1. Improving children’s emergent literacy skills and school readiness by supporting family learning for parents and children aged 0–3 and aged 4 – 6. 2. Improving the teaching of reading by providing teachers with training in effective reading instruction. 3. Developing a popular culture of reading and learning in which communities understand the value of literacy and create and sustain opportunities to practice and enjoy reading together. 4. Creating a rich literate environment that guarantees children access to high quality, local language reading materials. These four aims form the four ‘pillars’ of the programme. We want to prove that by supporting children’s early learning, and their literacy in particular, both before and in school with measures to radically improve the literate environment, we can have a definitive impact on children’s ability to read and write. The program recently received a huge boost from a visit by Julia Gillard, Chair of the Global Partnership for Education and former Australian Prime Minister. Save the Children is a close partner of the Global Partnership and was recently approved a s potential managing entity of GPE funds. Along with Action Aid, Save the Children also represents Northern civil society constituency on the Board of the Global Partnership. The visit took Ms. Gillard to a school in Gicumbi where she saw the difference that our Literacy Boost teacher training, book provision and community based reading promotion is making to children’s reading skills. . She spoke with teachers, parents and children who explained the different elements of our work in their community. “Save the Children’s work to support early literacy at home, better teaching of reading at school, increased access to books in communities and its work with publishers to produce better children’s books is very exciting,” said Ms Gillard. “These interventions respond directly to the evidence of what works that were detailed in ‘A Global Compact on Learning’, published by The Brookings Institution where I am a Distinguished Fellow, and I look forward to seeing the results of the program in time,” she said. Save the Children is part of the local education group in Rwanda which works with the government to develop comprehensive education sector plans that are then funded by the government and external donors, including the Global Partnership for Education. The development story of the next generation will be written by the children sitting in the classrooms of low-income countries today. Whether they become the catalyst for a nation’s social and economic renaissance will depend on whether or not they learn to read. Save the Children is committed to helping them do so and we’re very excited about our programme in Rwanda, which we hope will help show the world what’s possible. It was a real honour to be able to share it with the Chair of the Global Partnership for Education as part of that process. Our ‘Advancing the right to read’ programme baselines and studies report is available here. This post was first published by the Global Partnership for Education. Around the world one in five children do not have access to the life-saving vaccines they need. And when you see, as I have and alas still do, children dying of preventable illnesses, it's just maddening. An amazing exhibition 'The Art of Saving a Life' from the Gates Foundation tells some of the stories behind the success of vaccines and the future promise of immunization. They are stories of risk and bravery, the passion and dedication of scientists, the love of parents, and the determination of health workers. These stories in the exhibition are told by more than 30 world-renowned photographers, painters, sculptors, writers, filmmakers, and musicians. 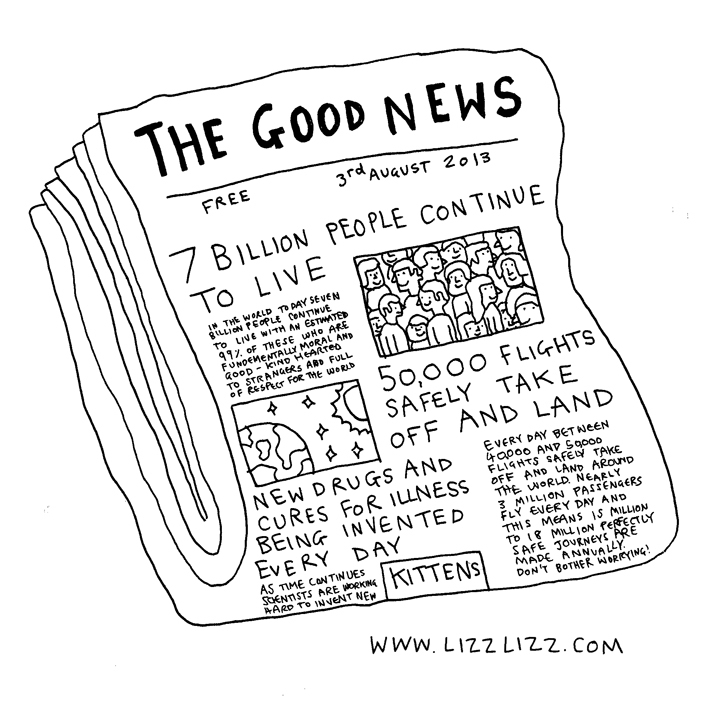 It features the work of illustrator Sophie Blackall which I've reproduced below. Sophie has been working with me for the last year, illustrating the work of the International Children's Book Initiative including our latest guide for teachers in Rwanda called 'Enjoying books together'. I love what she’s done for ‘The Art of Saving a Life’. In her four illustrations Sophie takes us on an adventure, in a quest to find every child. Currently, more than 20 million children are not receiving the vaccines they need. Sophie brings these children to life, illustrating corners of the world where children can be missed – whether in remote mountain valleys, desert villages, refugee camps or dense urban slums. We are invited to search for these children, and once we find them, to think about their similarities and the challenge of reaching each of them, seemingly buried like the proverbial needle in a haystack. 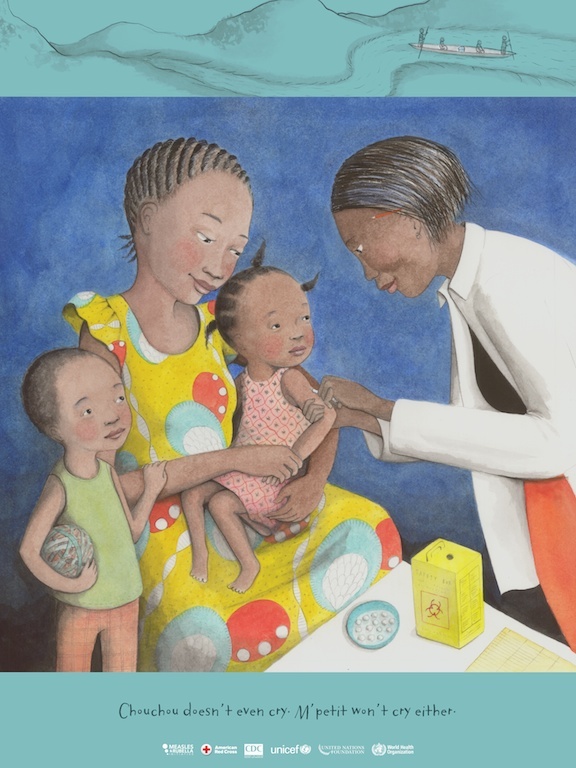 The illustrations also celebrate the fact that in many places, these children are indeed being found and vaccinated. There's a lot of fantastic art and story telling at 'The Art of Saving a Life' and I encourage you to check it out. Around the world the number of pets in cat and dog homes that need adopting far exceeds the number of prospective adopters. With limited funds many animal shelters can only afford to promote their available animals on social media where most of their fans are already pet owners. So cat and dog homes are constantly on the lookout for innovative ways to raise public awareness of the pets they have available for adoption. Inspired by the principle that nothing quite makes a house a home like a furry best friend some Ikea stores are now featuring cardboard cut-outs of adoptable dogs in their showrooms amid the furniture. The idea to display the pets inside the store started in Singapore as a collaboration between Ikea and two animal shelters. Together they formed the project Home for Hope. The cut-outs have tags on them with QR codes that shoppers can scan to learn more about the individual dogs. A range of other retails outlets in Singapore joined Ikea and now other Ikea stores around the world are working with their local animal shelters to promote their animals. You can see some of the dogs on display in Ikea Singapore below. First Read aims to close both the book and the early years services gap in developing countries in order to lay the foundation for school readiness and improved literacy acquisition. Across the developing world fewer than 20 per cent of children have access to early childhood care and education services. This flies in the face of the overwhelming evidence thatearly life experiences have a significant impact that persists well into adulthood and that investing in quality early childhood care and education can play a vital part in improving children’s life chances. We know that early childhood education programmes result in easier transitions to primary, better retention and completion rates, increased social equality and higher economic returns. Whilst some countries are looking to expand the provision of centre based early years programmes, centres are unlikely to be the primary way of closing the early years services gap in the near term. In recognition of the fact that parents and families are the first and principal educators of their children, there is a growing recognition of the potential of community based parenting education as a key approach to improving the quality of children’s learning and development opportunities before they start school. In Rwanda, the Philippines and Cambodia Save the Children is implementing one such programme: First Read which aims to provide parents and carers with the skills, confidence and materials to support the development of their children’s vital pre-reading skills. From the earliest moments of their lives children develop concepts, behaviours and attitudes that are the developmental foundation for later skilled reading and writing. These varied roots of reading development are often described as emergent literacy skills and include talking and listening, understanding words and sounds, alphabet knowledge, concepts of print and knowing what books are. Through four pillars, namely book development, book gifting, family learning and community action First Read offers a systematic way to help parents learn about and apply that knowledge to support their children develop these crucial skills. Access to high quality, local language children’s books is essential if young children are to develop their vital pre-reading skills. But in developing countries books for very young children are rare. First Read is working to support a vibrant children’s book industry by providing training and capacity building to local illustrators, authors and publishers. The programme subsequently purchases the books that participants in our training and capacity building go on to publish. These books are available in the local market and First Read also works to support publishers identify additional ways to sell their titles for very young children. Despite the importance of books in developing children’s awareness of print and knowledge many children in developing countries have never seen a book before they start school let alone owned one. First Read gifts families with young children the high quality, local language children’s books that the programme supports publishers to develop. We want children to benefit from easy access at home to books. Books on their own are insufficient to guarantee learning because in many low literate contexts parents won’t have the skills and confidence to share a book with the their children. First Read consequently provides the parents and carers of young children with the opportunity to come together to learn new skills that they can use to support their children’s learning. Using evidence about what works to support children’s emergent literacy skills we help parents and carers to incorporate talking, singing, counting and sharing books into their day to day interactions with their children. Parents and carers that participate in parenting education programmes like First Read report seeing first hand, significant differences in their children as a result of applying the new techniques that they have learnt. This is often the start of a virtues circle in which parents are keen to expand the learning opportunities available to their children. Whilst parent-child interactions are crucial, children particularly after the age of 2, also benefit from interacting with each other in small groups. Harnessing the increased demand for early learningand recognising the benefits of children learning together First Read subsequently works with parents and the communities from which they come to design and implement new care and educational services for their children before they start school,. These include play groups, story sessions and where demand exists and resources are available even formal centre based early childhood programmes. The case for expanding and improving early childhood care and education programmes in the developing world is unambiguous, supporting the development of a vibrant local children’s book sector and providing families with books, along with support to use them effectively, offers in our experience a simple and scalable way of doing so. This blog post was originally published on the Global Partnership for Education website. I was delighted to discover these portraits from Wendy McNaughton’s book ‘Meanwhile in San Francisco’ of visitors and staff of the San Francisco Public Library. Building Tomorrow, a nonprofit dedicated to building schools in East Africa, worked with Young & Laramore to produce “Time is Measured in Tomorrows”. In the lead up the Global Partnership’s replenishment conference global civil society has published an action plan aimed at helping to close the global education funding gap and delivering new resources to the Global Partnership for Education. This will require donors to raise their ambition levels above ‘business-as-usual’. The Global Partnership estimates that raising funding above current levels to a more “ambitious” level could support a rise to 92% global student enrolment by 2018. The first step in that process is for the board of the Global Partnership for Education to commit to a minimum of $4 billion in funds for the next operating period of the Global Partnership. Find out more about civil society’s efforts in support of education funding and the replenishment of the Global Partnership for Education at Fund the Future. This article was originally published on the Global Partnership for Education blog. I’ve just come across the impressive BOOKMOBILE project on Kictstarter. The project was an exhibition of artist books, zines and independent publications that traveled across the US and Canada from 2001-2005. Along the way, the BOOKMOBILE gave a lot of workshops and talks, and collaborated with many amazing groups and individuals. The voluntary, self-described scrappy nature of the project is a real inspiration as are the radical values and commitment to increasing media literacy that the project embodies. They now have plans to share the project with a larger group of people, in a way that feels in keeping with the BOOKMOBILE: an actual, printed book which I’ve backed on Kickstarter! As we approach the 2015 deadline for the Millennium Development Goals (MDGs)and the Education for All (EFA) targets, there is much to celebrate. Since 2000, when the MDGs and the EFA goals were set, around 45 million children who previously did not have access to education have enrolled in primary school, and gender parity in primary education has improved significantly. Yet the work ahead is urgent and formidable. 250 million children – or around 40 % of all primary school age children in the world – either, never enrol in school, fail to make it to the fourth year of their education or, if they do manage this, are not learning to read even basic sentences. It comes as no surprise that the parents of these children are frustrated. Parents want their children to learn and acquire vital new skills that will assist them in education and future employment, but, in far too many places around the world, the education system is failing them. In ‘Right to learn: community participation in improving learning’ a ground breaking new report, Save the Children, gives voice to the aspirations and frustrations of parents from Brazil, Ethiopia, India, Kenya, Nepal, South Africa, Tanzania and Zimbabwe. Despite the diversity of the countries in which they live they all share an expectation that their children learn basic reading, writing and math skills at school. However, they also have a shared experience of how difficult it is to hold schools, service providers and governments accountable when their children are not learning. ‘Right to learn’ also illustrates how, in all of these places innovative civil society organizations, with deep roots in communities are driving system wide change in education and in turn, improving learning outcomes for children. Using this approach, Uwezo by way of example, conducts annual household assessments of basic literacy and numeracy levels in Kenya, Tanzania, and Uganda. Every year, Uwezo partners with over 350 local organizations to mobilize and train over 22,000 citizens to conduct the survey. In 2012, the Uwezo army of citizen volunteers assessed a total of 343,104 children in 124,627 households from 362 districts across East Africa. The annual assessments collect data that, once analyzed and shared, is used to promote countrywide conversations and debates about learning, using radio and television for wide reach. Uwezo believes that the drive for more accountability will ultimately come if parents, as the largest constituency of concerned citizens, are able to be involved and participate in the success of their children’s school. The report also highlights the work of Equal Education in South Africa and Ação Educativa in Brazil, who are also using data to catalyse parental and wider community action to improve educational quality. All of the examples in ‘Right to learn’ illustrate the power and potential of accountability relationships between citizen and service provider to strengthen the quality of publicly funded education and, in doing so, improve the learning outcomes of millions of children currently being failed by state education. Though each country context is different, the case studies point to a number of themes that emerge as central to the effectiveness of local level accountability irrespective of context. Increasing the accountability of schools to parents has the potential to transform education provision and learning outcomes for all children by raising the quality of publically funded schools. If we are serious about reversing the crisis in learning, as we continue to debate a post-2015 agenda for education we need to ensure that the frameworks for international and national action will both respond to and harness the voice of children’s parents and carers and the communities from which they come. This article was first published on December 23, 2013 on the Global Partnership for Education, Education for All blog. Sophie Blackall is a Brooklyn based Australian artist who has illustrated over twenty books for children. ‘Ruby’s Wish’ which tells the story of a young girl’s fight to get an education in China, is a long standing favorite in our house. However, I really only came to know the extent of Sophie’s work after discovering her illustrations for the Measles and Rubella Initiative. Her exhibit “Let Every Child Have a Name: The Road to a World Without Measles” was inspired by her journey to the Democratic Republic of Congo, where she spent time with the families and health workers affected by measles. Her illustrations really capture the work of the Initiative and have been greeted with enthusiastic responses wherever they've been displayed. They have also raised awareness and funding for the fight against measles. I was so impressed I asked her is she’d like to do something similar for the International Children’s Book Initiative in Rwanda and I’m delighted to say that she said yes. So I won’t reveal a whole lot more just yet except to say I’m very excited about working with Sophie in support of the work of the Children’s Book Initiative in Rwanda. You can read and watch more about Sophie’s work with the Measles and Rubella Initiative here and view all of the pieces from 'Let every child have a name' below.